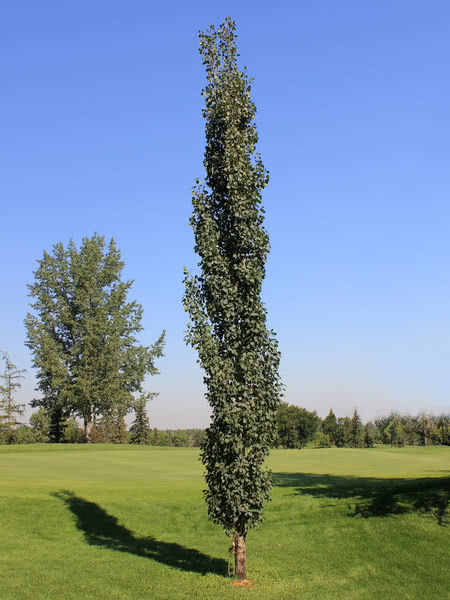 Swedish Aspen is an extremely fast growing columnar aspen tree. It's ideally suited for urban settings where space is limited such as privacy screens or along the edges of driveways. 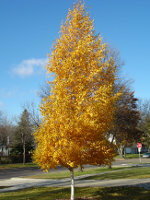 Swedish aspen produces no fluff and is less prone to suckering than tower poplar. 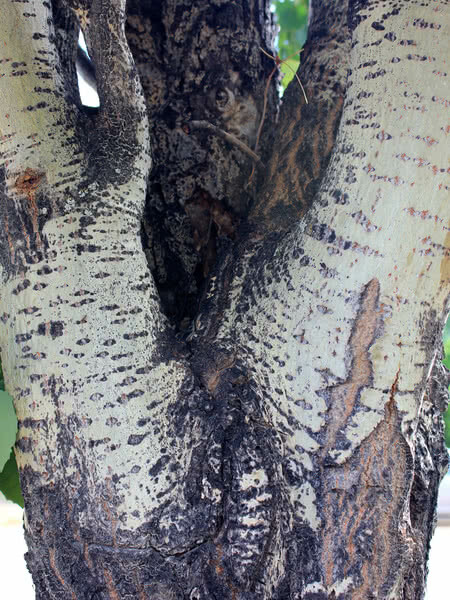 Swedish aspen thrives in a variety of growing conditions with little maintenance or pruning. We grow this species over a two year production method from root cuttings via the Smoky Lake Styro-Stack method (SSS method) first pioneered at Smoky Lake Forest Nursery in 2002. This method has quickly become the gold standard in the reforestation nursery industry for growing clonal aspen. We are well known for pioneering its use worldwide and currently produce some of the highest volumes of Swedish Aspen in Canada. These two-year-old trees are fuller, more robust, and better branched than the younger plug seedlings. 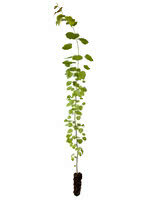 These tall Swedish Aspen seedlings are grown in large 340ml 615A plug cavities. As this is a root-centric species, these trees benefit greatly from the larger plug size. Need more than 500 Swedish Aspen - 1 Year Old?